Bubby and Bean ::: Living Creatively: Happy Valentine's Day! Since we take the weekends off around these parts, I'm wishing you all a happy Valentine's Day today (and a happy Friday, too!). Essley is, of course, my #1 Valentine again this year, and I can't wait to give her extra snuggles (and extra treats) tomorrow. Last weekend, I helped her make Valentines for her grandparents, aunts/uncles, and cousins - and you guys, I had no idea how much fun it would be to craft with a toddler. I mean, yes, it was messy. And yes, the Valentines were basically hearts (that I cut out) with scribbled marker and randomly placed (possibly partially chewed) stickers and doilies on them. But it was so great. SO great. Essley's and my other Valentine (her daddy) comes home for a couple of days on Sunday and there is a lot of couch lounging and comfort food on the agenda. That's our kind of romance and I wouldn't have it any other way. However you choose to celebrate (or not celebrate), I hope your Valentine's Day is wonderful. See you Monday! 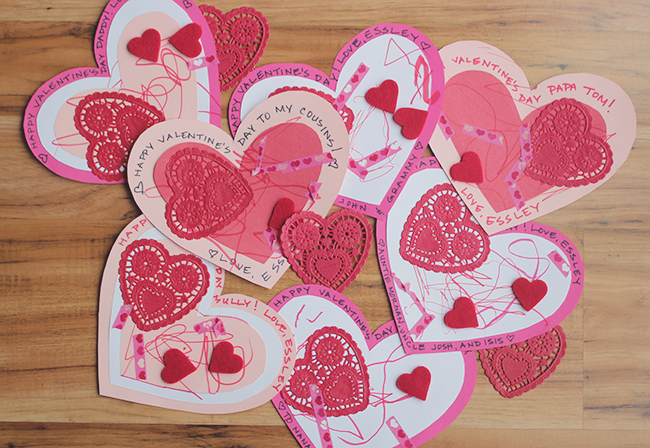 What adorable Valentine's :) I'm sure your family will love them! Essley is such a doll! I just love seeing the pictures of Essley. She's so cute! I'm sure both of you had a great time. 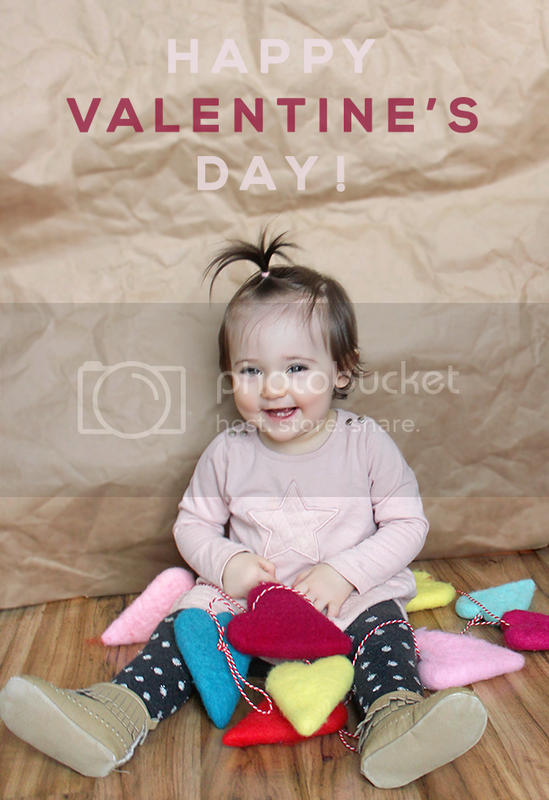 Hope you guys had a lovely Valentine's day, those hearts (and Essley) look super cute!